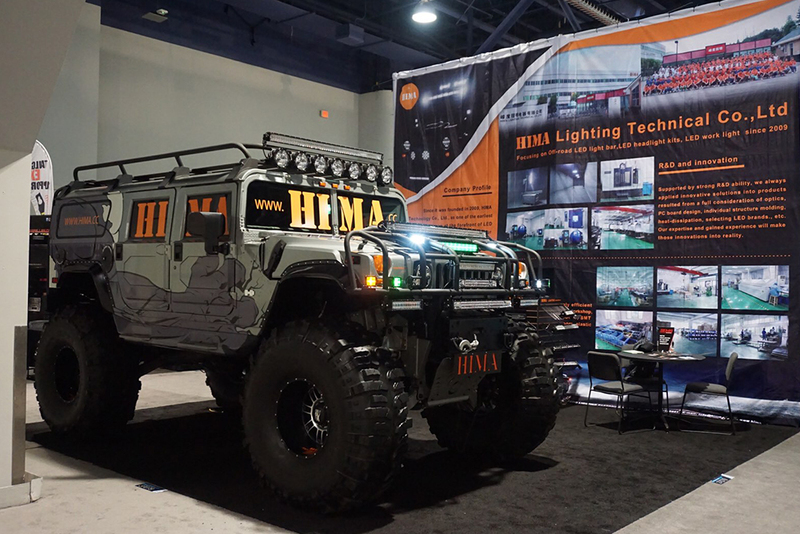 HIMA's booth was the center of the attention at SEMA show. Our booth was constantly photographed by many automotive professionals as well as international press. Our new product line was on the spotlight for not only the high light output put also the industry leading design. We thank all our customers and partners for your great support. See you next year! HIMA Lighting Technical Co., Ltd. Fedo Lighting Factory Co., Ltd. Tel: +86-760-22139981 Fax: +86-760-22139889 Email: info@hima.cc © 2014 Hima Lighting Tech.